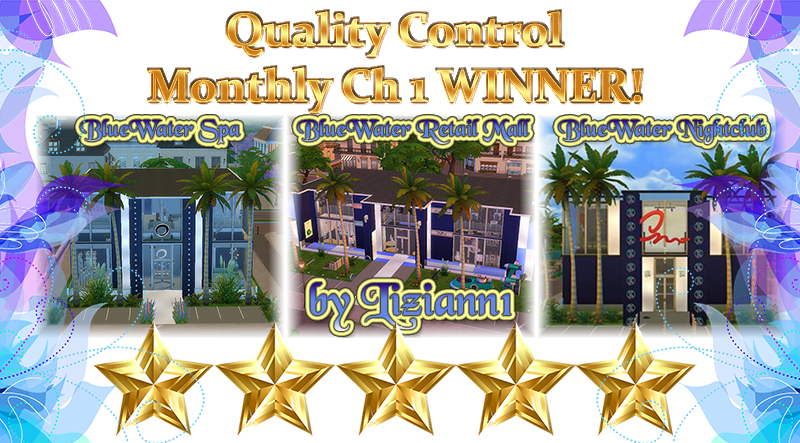 DizziSquirrel's Showcase *updated* September 2018! 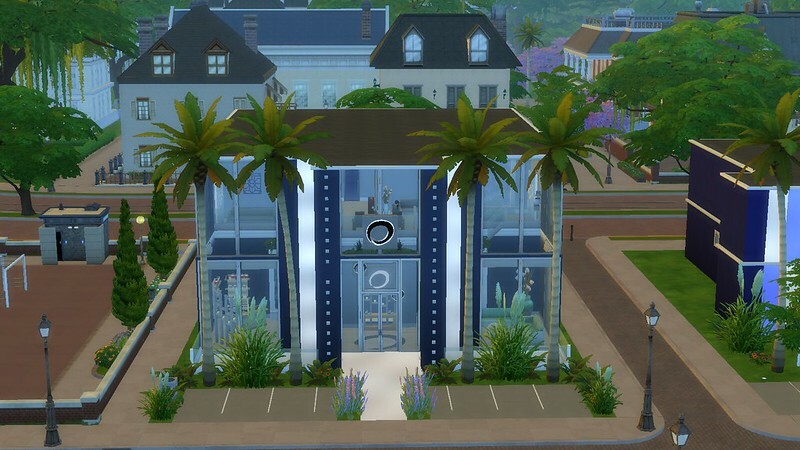 Pool Hall - The gallery pictures do not do this build much justice, but its one of my favorites that was not for a challenge! It is nice that you have set up a showcase thread for your builds. 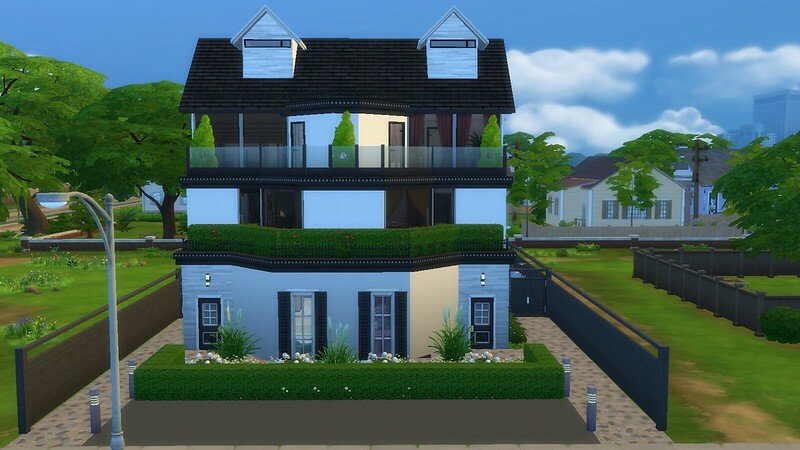 Your builds are very nice! Pool Hall is very nice! 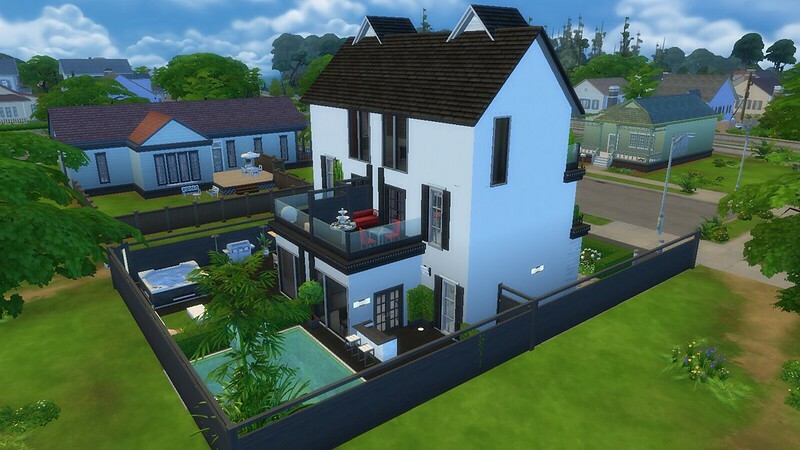 Very nice layout of the build! The flowers look pretty either sides of the front footpath, and it looks nice how you have the gated side entrance. The tall trees either sides of the front entrance looks nice. 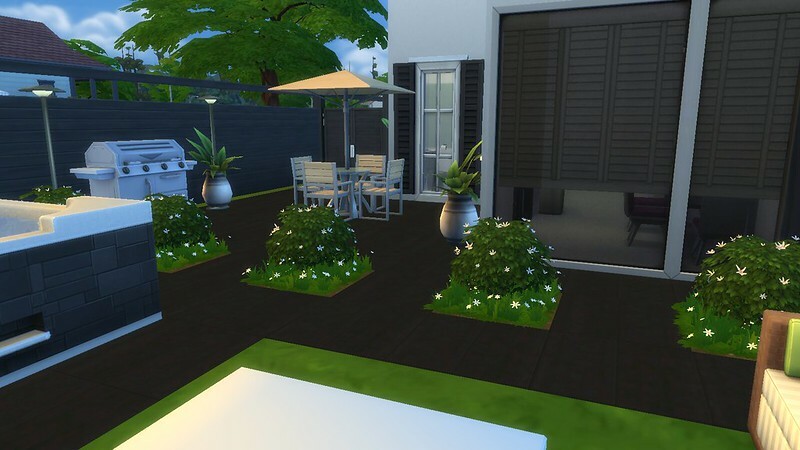 It looks very nice how you have used the hedge fencing in the build! The pool patio area is so very nice! Very nice shape of the pool! 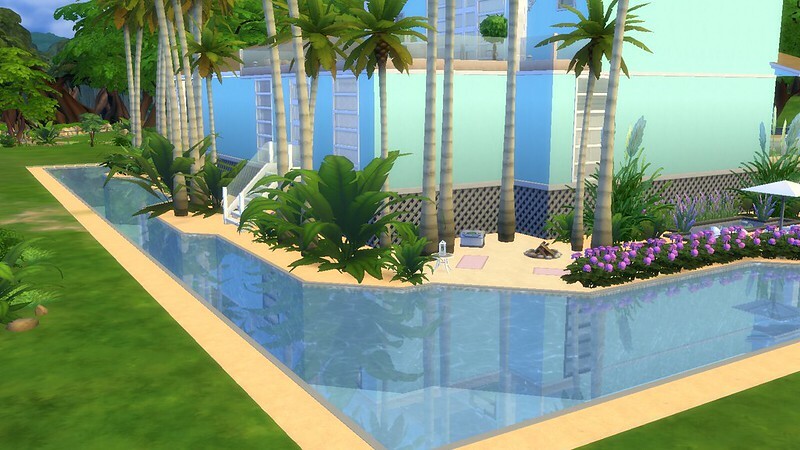 Sims will enjoy cooking on the BBQ and eating their meals poolside at the umbrella covered table, enjoying the sunshine.The roof covered porches there look very nice! The orange flowers in the garden boxes around the edges of the columns of the porches looks so nice! It looks very nice how you have done the corner with the plants, rocks and hedging in it! Very nice side dining courtyard! 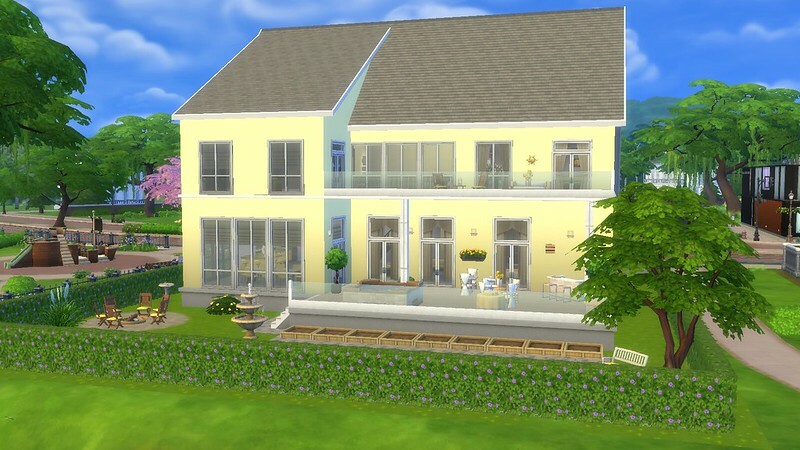 The yellow and orange flowers and sunflowers are a very pretty setting for sims to enjoy dining in! 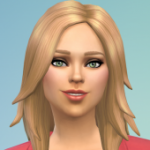 They are nice for sims to see when eating their meals. 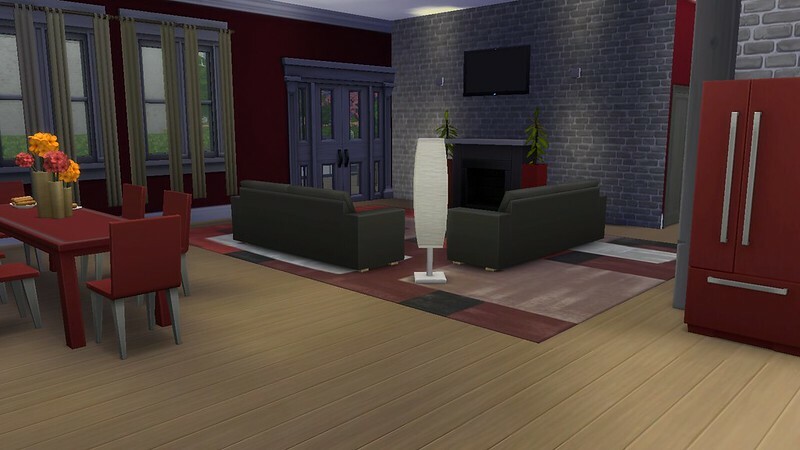 Very nice layout and furnishing of the interior of the home! Nice gym area for sims to enjoy keeping fit using the fitness equipment. The open plan living and kitchen looks very nice how you have designed it! Very nice living room. 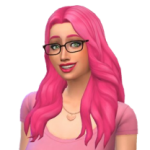 Sims will enjoy resting on the sofas in the living room, having a chat whilst watching TV , reading a book from the bookcase and warming up near the fire. Nice study desk area for sims to enjoy sitting at the desk table using the computer. The white lights look very nice with the colour of the seating and the patterned floor rug. The butterflies picture, books and flowers on the side table are nice homely touches in the room. The blue colour of the walls looks calming and reflects the pool theme of the home. 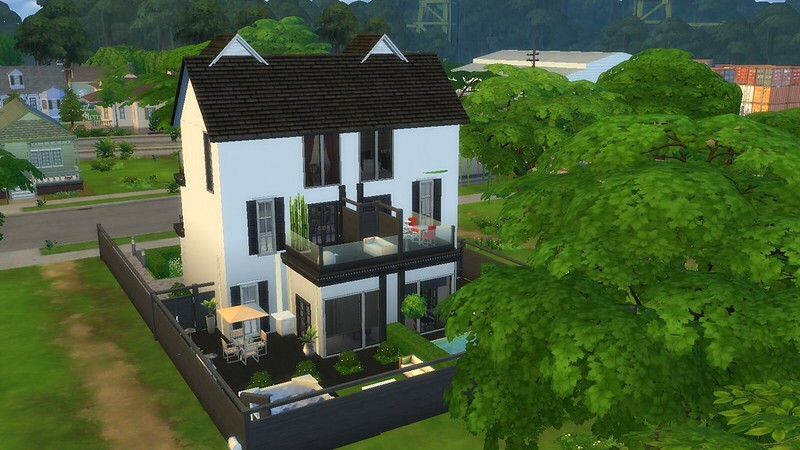 It looks very nice how you have placed the windows and curtains in the rooms/areas in the home. It looks very nice how you have used the middle wall to separate off the kitchen and living areas. The L shaped bar stool counter is great! The fruit bowl is a nice kitchen touch on the counter. 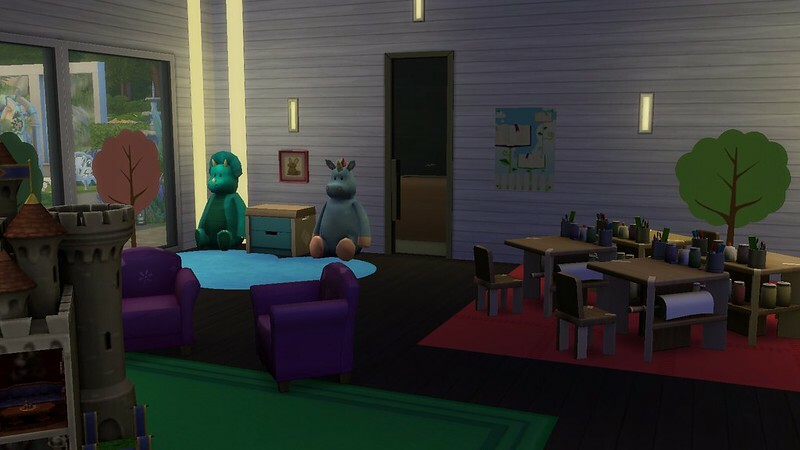 Sims will enjoy eating their meals there. It is very nice that you have a photo studio in the home! 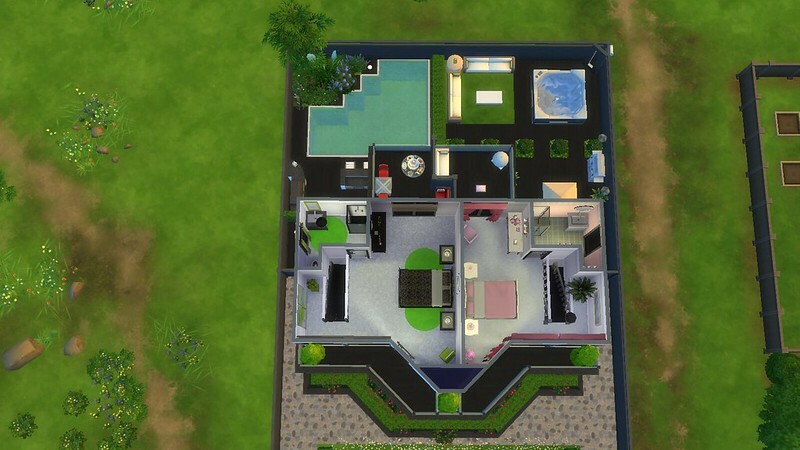 Sims will enjoy taking photos there. The bedrooms are very nice! 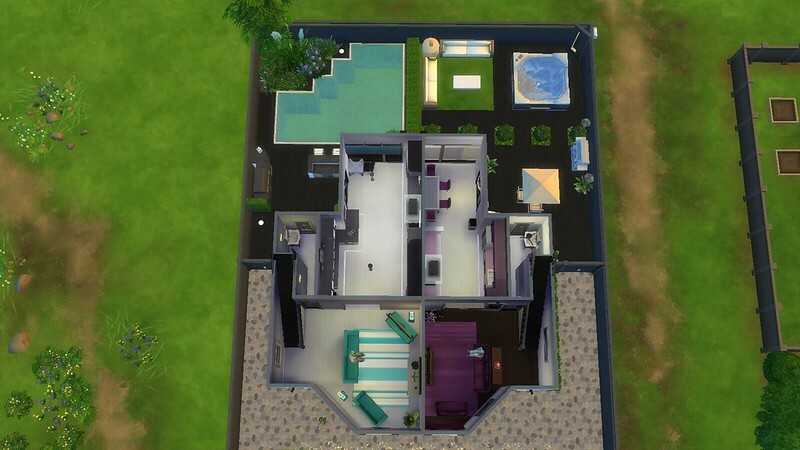 Very nice layout of the master bedroom and bathroom! It looks nice how you have used the angled walls to separate off the bath and sinks area. Very nice corner sitting and TV watching nook. 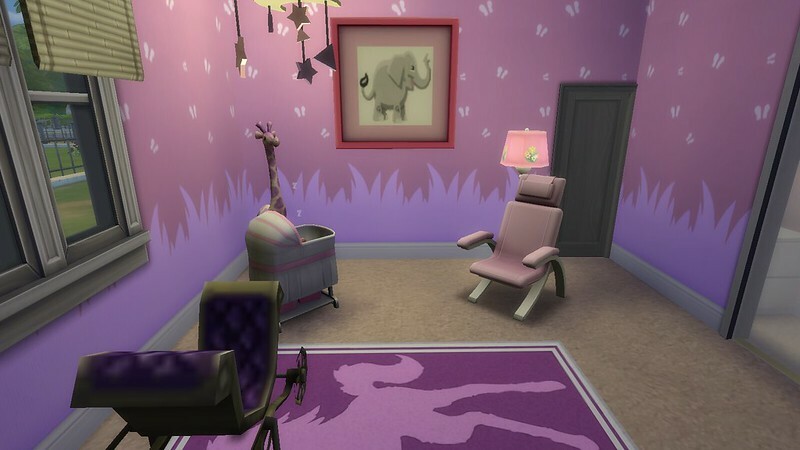 Sims will enjoy resting there reading a book, chatting or watching TV, and the floral picture on the wall is nice for them to see when sitting there. The exterior design and layout of Oasis Gym is very nice! Very nice pool and outdoors dining patio! 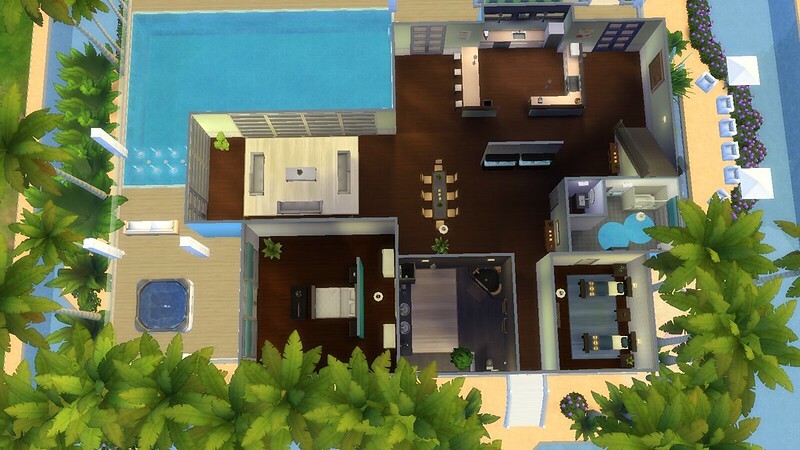 Sims will enjoy swimming in the pool, as well enjoying cooking meals on the BBQ and eating them at the umbrella covered table in the outdoors air. Very nice upper level pool patio as well. It looks very nice how you have furnished the interior of the gym. 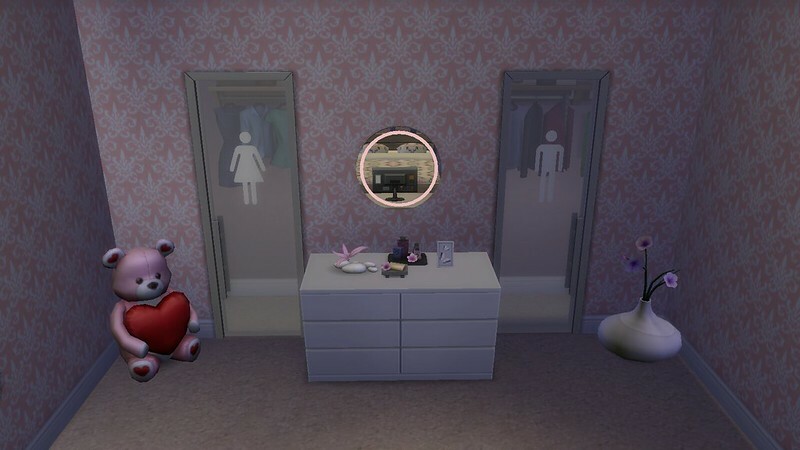 Sims will enjoy using the fitness equipment there to keep fit. They will enjoy sitting on the stools in the bar area having a drink from the bar after their training. Yellowstone is a very nice home! 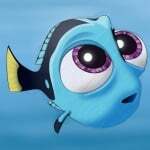 @Liziann1 It looks very nice and sunny! Very nice design of the exterior of the home! The roof covered front porch looks nice. The yellow flower boxes look pretty on the front wall, and the yellow flowers look very nice how you have placed them in the front garden. The outdoors areas are very nice! Very nice outdoors dining and bar patio! 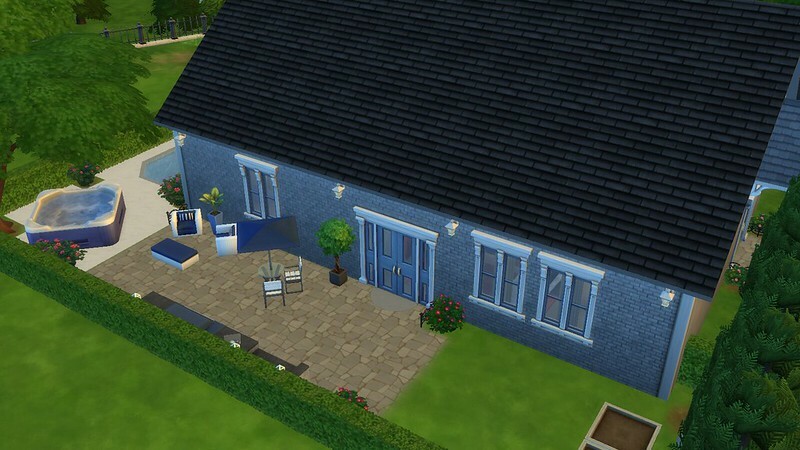 Sims will enjoy sitting at the nice stylish dining seats and eating or drinking food or drinks from the banquet table and fountain, enjoying dining in the outdoors air. 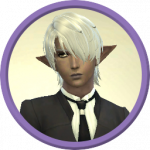 It is nice that there is a bar counter corner nook there for sims to enjoy sitting on the stool having a drink from the bar. Very nice gardening alcove. 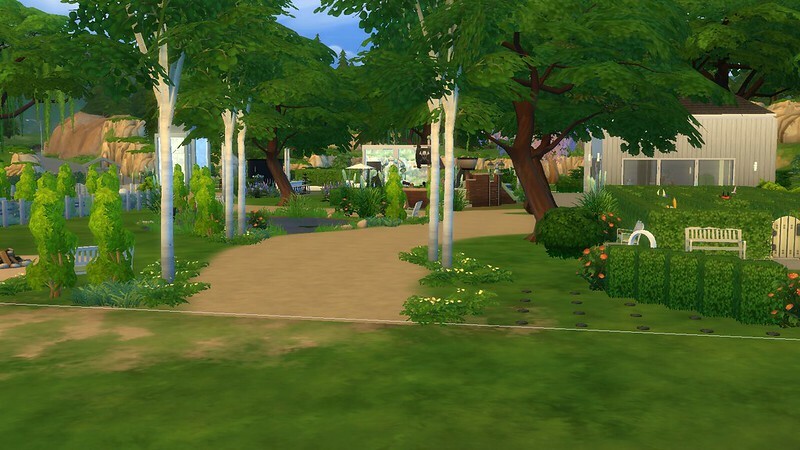 Sims will enjoy growing and harvesting plants in the gardening boxes there. The water fountain is nice for sims to see whilst gardening. Nice fire pit area for sims to enjoy sitting around fire keeping warm, chatting and toasting food. It looks very nice how you have placed the hedging around the edges of the lot. Very nice layout and furnishing of the interior of the home! 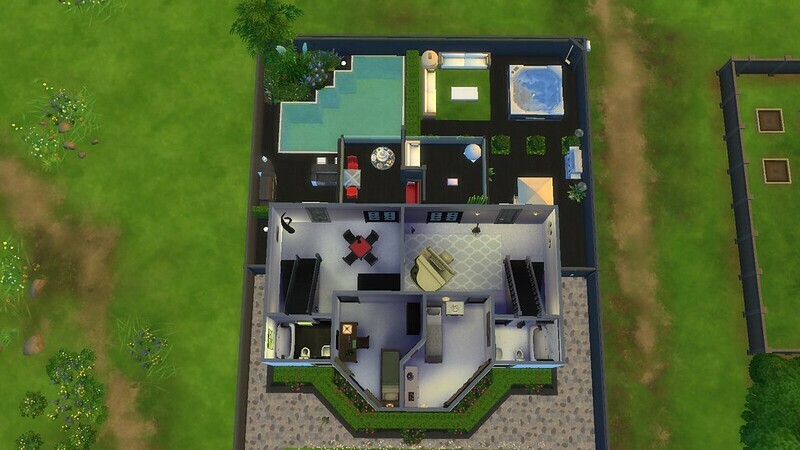 Sims will enjoy resting in the sauna. The plants are nice touches of nature in the sauna room. The bathroom is very nice. 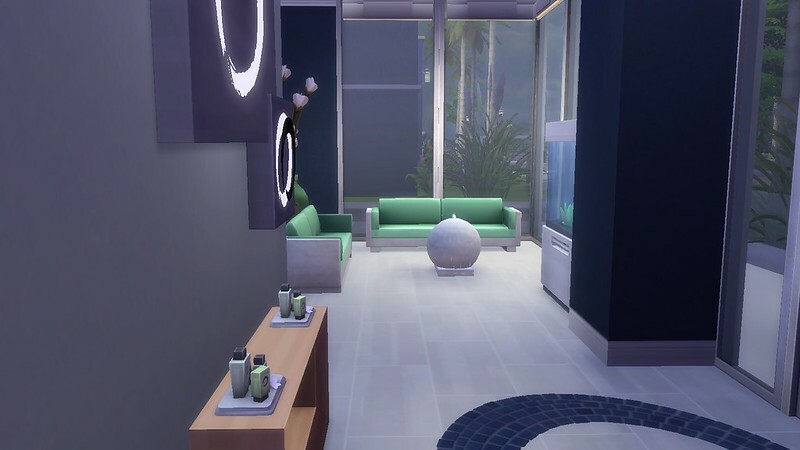 Nice bath alcove for sims to enjoy having a relaxing bath or mudbath. 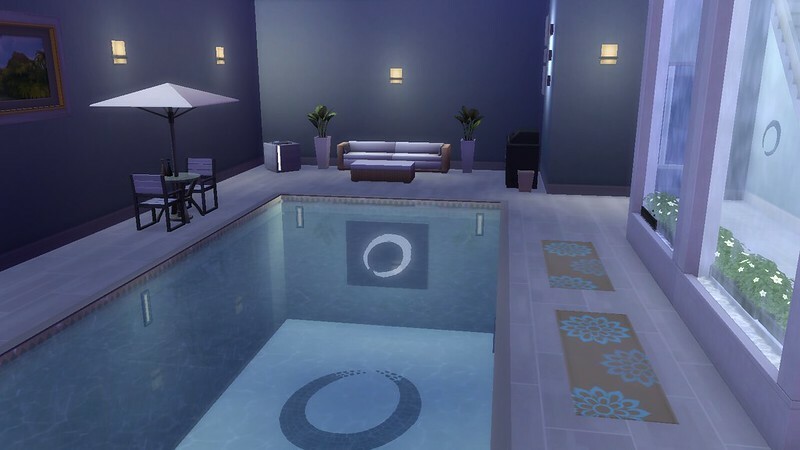 The yellow floor rug looks nice under the bath and the candles are pretty for sims to see when bathing. Very nice living room! The yellow colour of the sofas and wall looks nice. It looks nice how you have placed the sofas in a U shape. Sims will enjoy sitting resting there, having a chat and warming up near the fire. The plants look nice placed either sides of the fireplace, and the tissues are a homely touch on the coffee table. 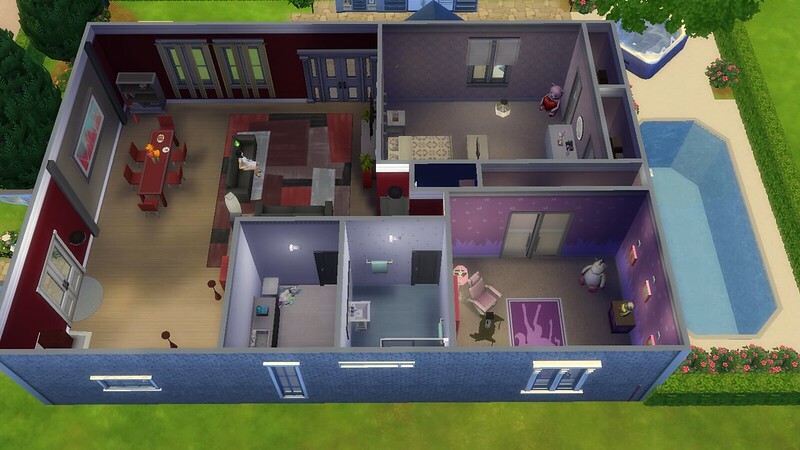 Sims will enjoy the sunshine coming in through the side windows whilst sitting there. 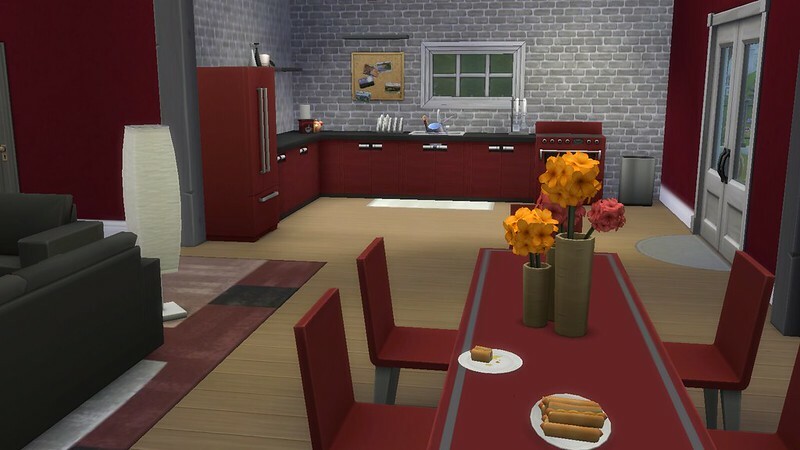 Very nice design of the kitchen and dining room! The yellow and white colour scheme looks so very nice! The yellow flowers on the dining table and the sunflowers picture on the wall are very sunny for sims to see when eating meals there. 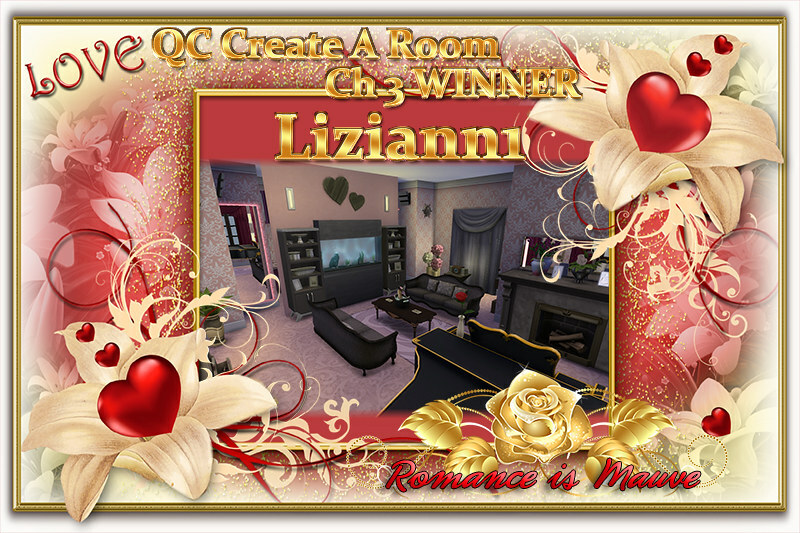 my 1st build for the QC3 challenge, not the one I've entered! Hi Liziann1! This is a great showcase, your builds are really beautiful! Each of your homes, the Spa and the Park are so very nice! 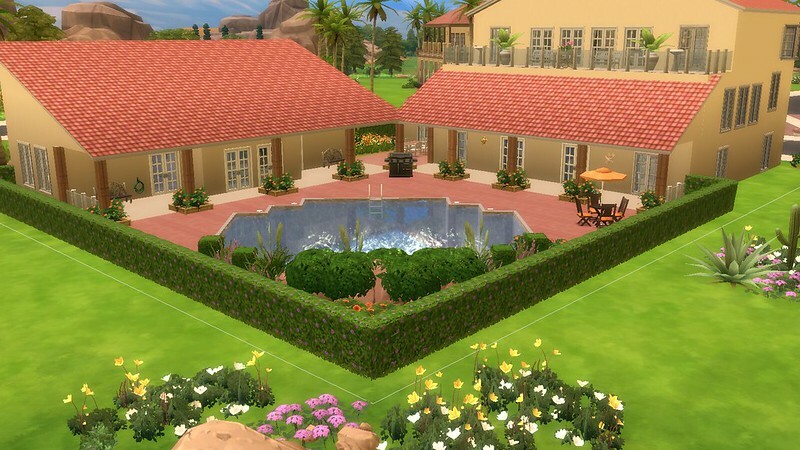 The exterior design of the buildings, the layout of the builds, and the outdoors areas are so very nice! 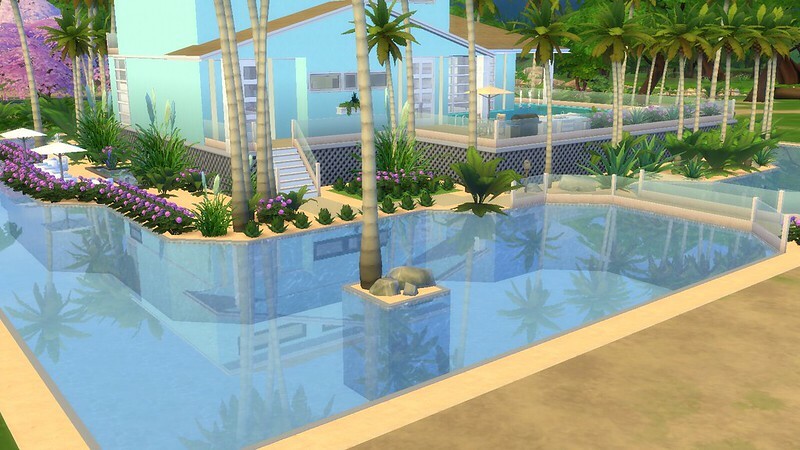 The trees and flowers on the edges of the water in Palm Tree Villa look so nice! 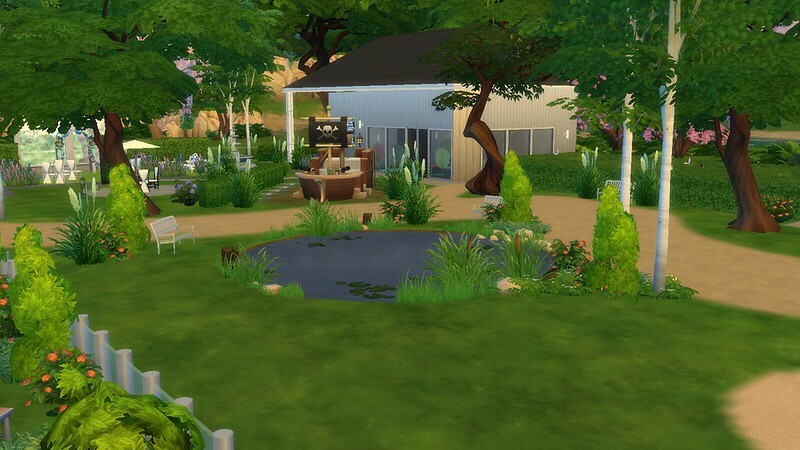 Aspen Park is a lovely venue for sims to enjoy visiting! The outdoors dining patio area is so very nice! The long lily pad water feature there and the small trees and flowers on the edges of the patio are very pretty! 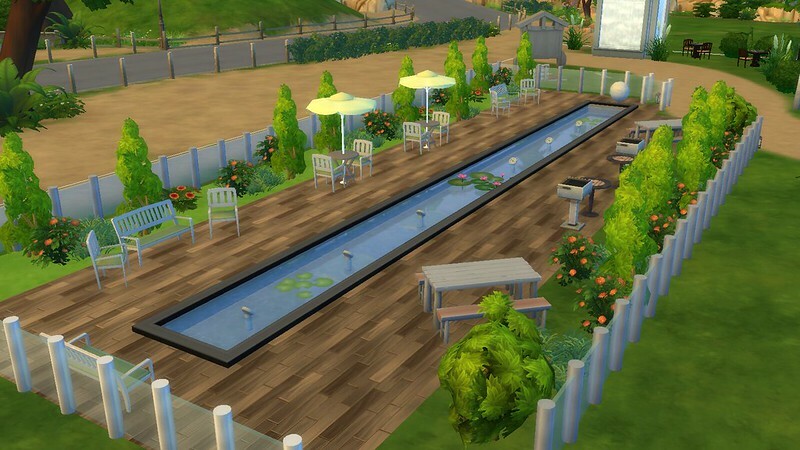 Sims will enjoy cooking on the grill there and eating their meals at the umbrella covered tables or the picnic tables, enjoying dining in the sunshine. 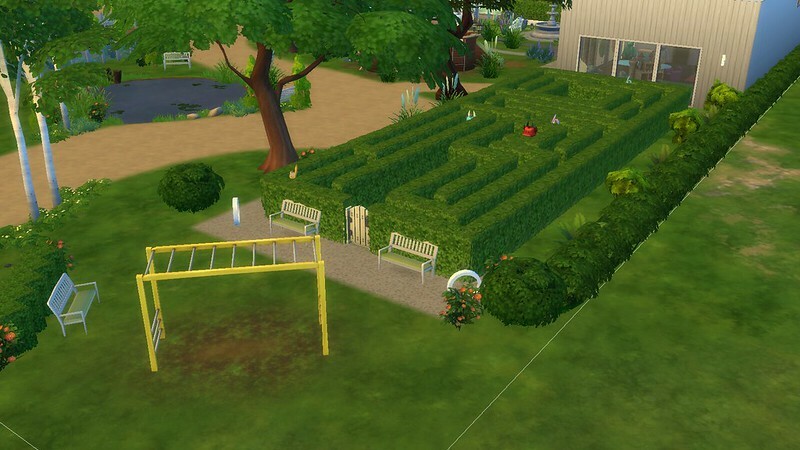 The hedge maze is very nice! 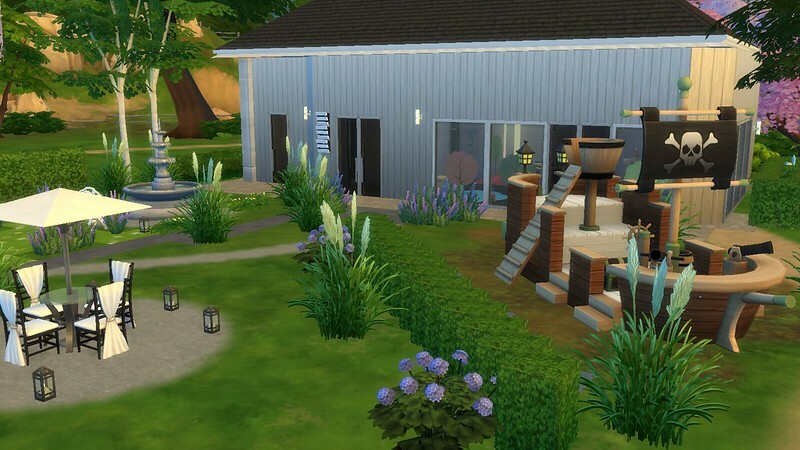 Child sims will have fun playing outdoors on the pirate ship and monkey bars, or enjoy going indoors and doing art work on the art tables. The unicorn and dinosaur look very cute there! They will have fun playing with the dollhouse and toys from the toy box. 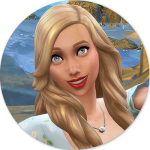 Sims will enjoy fishing in the pond. Each of the builds are very nice! 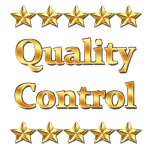 I am sorry that you lost your post with all the pictures in it, with you getting the "needs to be approved " message! Thank you both I am at work now wishing I could play! I hope that your work day goes okay. 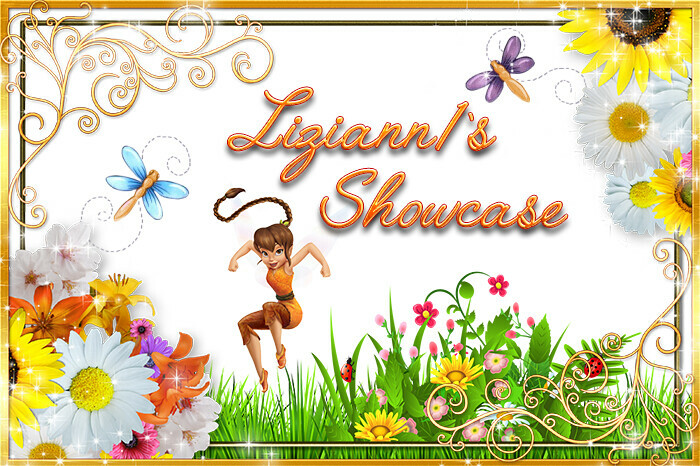 Nice showcase you have here @Liziann1 Palm Leaf Villa looks great!